Campingplass Arc en Ciel er en campingplass i Morgex, Aosta. Denne terrassecampingplassen har steder med skygge, uten skygge og plasser med noe skygge. Det er mulig å leie campingvogner. Det er ikke alltid nødvendig å lage mat selv, for på campingplassen er det pizzeria og restaurant (begrenset meny). På campingplassen kan man også kjøpe nybakt brød. Det er mulig å bruke internett, for det er WiFi-tilkobling. Denne inspektøren besøker hvert år Campingplass Arc en Ciel og inspiserer campingplassen for ca. 200 fasiliteter og for andre punkt som forekommer. Inspektøren er en medarbeider fra ACSI og arbeider ikke for campingplassen. We agree with the other positive comments here - a really pleasant, well-run site with friendly & efficient owners who obviously take pride in all they do; Owner is helpful & speaks good English. Convenient stop within a few minutes of the Mt Blanc tunnel, signed & easily accessed from the main road. The site is surrounded by mountains; the terraced, mostly grass pitches are level but are not delineated. The excellent sanitary facilities are clean & plentiful (probably the best we’ve seen at any campsite!) Free wi-fi. Restaurant looked good, but closed at our time of our visit. We recommend this site & would happily stay here again. Helpful and welcoming owner who offered advice on local walks. Peaceful location but not easily found, we had to ask for directions in the local town. Can't fault this site. Really enjoyed our stay here. Everywhere is clean and tidy. They are in the process of updating the toilet facilities. The owners are very friendly and helpful.The surroundings are beautiful and many lovely places to visit nearby. We would reccomend this place to anyone. A typical mountain campsite, small and beautiful. Great hospitality director Stefano who helps you choose the pitch and position the trailer. Good food in the restaurant on site. Great location for walking and hiking on the Mont Blanc and the surrounding valleys. Camping in terraces with not delimited but with excellent turf. The old toilets and limited but well-kept and very clean. I would recommend it to all those who love nature. Vil du booke Campingplass Arc en Ciel eller få mer informasjon? Det går bra med opplysningene nedenfor. 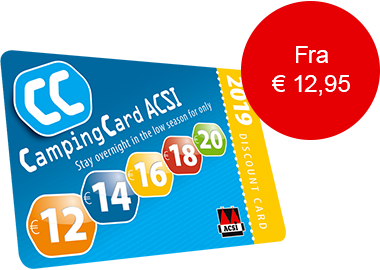 ACSI Eurocampings sender din forespørsel til "Campingplass Arc en Ciel".